Development stages of Garden paintings. This one from the garden at 25 Coronation Crescent in Preston from 1991. 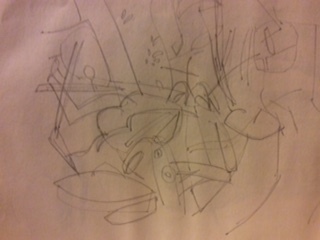 The sketch was made in 1991, the painting tries to remember the time. At least another four coats to go.